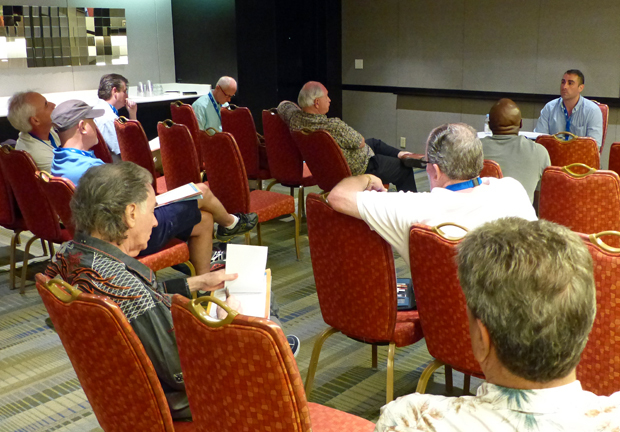 Brett Napoli Moderates a WordPress Discussion on Sunday of THE Domain Conference. Fort Lauderdale, FL — A staple in the industry, THE Domain Conference brought together the most forward-thinking minds for a weekend of knowledge-filled insights, tip sharing, and collaboration. Among the esteemed list of speakers and presenters was Fort Lauderdale WordPress Developer, Social Media Expert, and Ambition Insight CEO Brett Napoli. Throughout the weekend, Napoli presented on multiple panels where he divulged social media management tips, essential components of an engaging WordPress website, digital branding, and growth opportunities while sharing his entrepreneurial experiences. Videos from THE Domain Conference are now live and can be viewed below.